Jason Grissom is an assistant professor of public affairs at the Truman School of Public Affairs at the University of Missouri-Columbia. 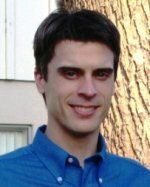 His research focuses on the politics and finance of public education, and his work (with two co-authors) on the distribution of school spending in California is part of the "Getting Down to Facts" project, a series of studies of California's finance and governance structures whose results will be released mid-March. Grissom has a Ph.D. in political economics from the Stanford Graduate School of Business and an M.A. in education policy from the Stanford School of Education.